Wash the hair applying the product three times. Use twice consecutive shampoo to remove external waste. The third time, you need use the product allow it to act for 10 minutes, with the intention of opening the wires cuticles. Pay attention: natural hair must be used oxidant 20 volumes, to make sensitive wires. Next: dry completely hair without brushing. And split them to facilitate The application of the product. As a brush and comb, apply the anti-frizz gel, starting with the neck. Then, separatethe hair into strands medium, applying the product 1/2 cm away from the root.then, back each of the strands to facilitate penetration of the product, leaving the hair smooth.after all the application let the product stand for 30 minutes. After that, dry the hair 100%. And to facilitate the passage of the plate is recommended to make brush. Divide the hair and pass the plate into thin strands, always insisting the root, and when they are sufficiently smooth, continue on the length of the wires to close the cuticles. recoomended temperature: around 230º. And for with highlights and/or blond hair, keep close to 190º. To laurels and hair with colorful streaks hair, it is recommended to mix 01 measure blend cream on anti-frizz gel. Wet your hair and apply a generous amount of moisturizing mask, massaging well. Then rinse the hair. Finally, dry the hair manually using the dryer, and if desired, model the tips with the help of the brush. colors without ammonia can be applied the same day. Otherwise, you must wait for 72 hours for the procedure. From brazil, the smoothing is a deep treatment that besides smooth, providesbrightness, strength and rejuvenation to the hair for several months. Daily lost keratin of hair strands by external reasons and its replacementis essential for the rejuvenation of the hair. 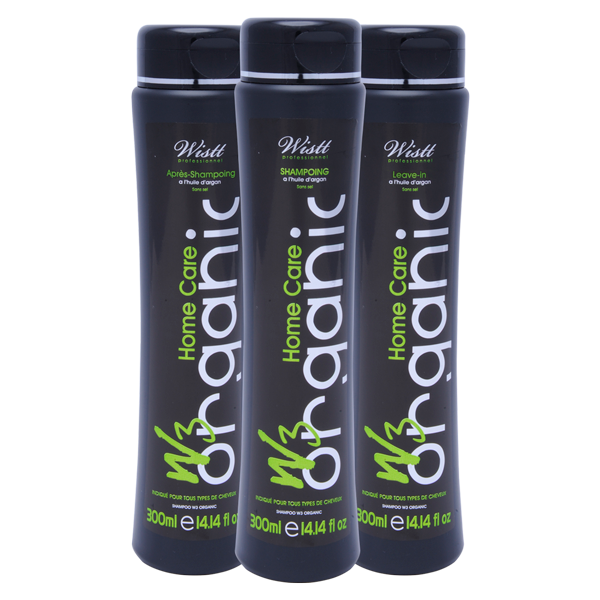 To maintain and extend the life of your hair straightening, it is essential the use maintenance products w3 organic. Argan oil, main component of our products, hydrates and nourishes the wires, and remove impurities while respecting their hair. It also offers an easyuntangling and a deep hydration, strengthening the hair fiber, protecting your hair from external aggressions (wind, uv, chlorine) and chemical treatments (dyes and wicks). The w3 organic shampoo is specially formulated to keep your straightening. Cleans, revitalizes and strengthens the wires, from root to tip. Its formula is rich in argan oil, always keeping the wires hydrated and can be used on all types of hair. 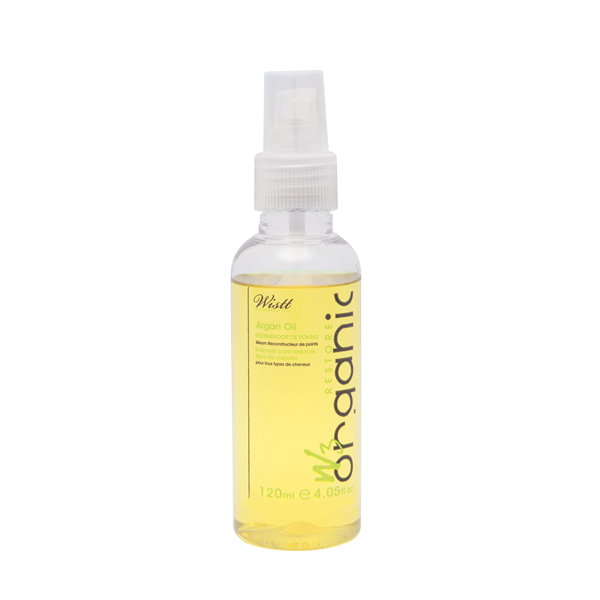 The w3 organic conditioner with argan oil, contains moisturizing polymer that retains water molecules on the wires. Nourishes, treats and protects the wires, leaving no oily and heavy debris. Its anti-porosity restores the gloss and smoothness of hair. Practical for use in everyday life, it is a no-rinse treatment that protects hair from external aggressions such as uv rays, chlorine etc. This is due to the exceptional properties of argan oil, which form a protective capsule around the wires, thus facilitating the clearance of wires. Provides deep hydration. Sensitive hairs are easily to many assaults such as salt, pollution and even hair chemicals. 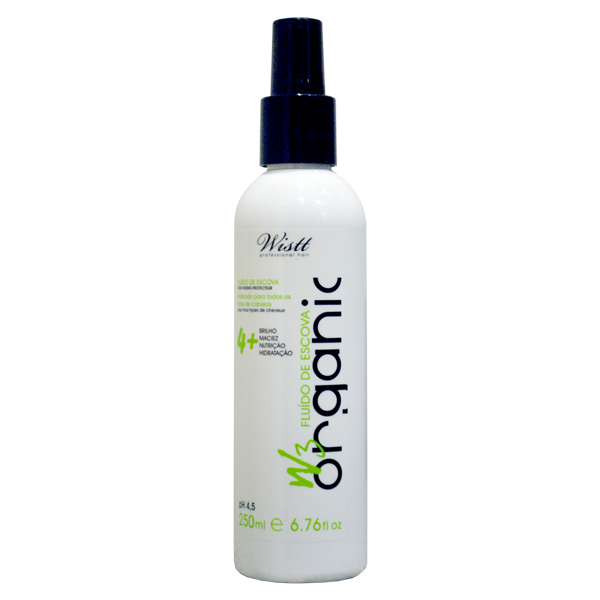 So, to complete its product range, the wistt professional hair rebuilder developed the capillary w3 organic. Composed of amino acids, this product returns life to the hair, repairing the wires, and make them more resistant, flexible and shiny. Use for two consecutive shampoo to remove debris and open the wire cuticles. 100% dry hair, and then the debt. Apply the capillary rebuilder with a brush, on average strands and to clear them using a fine tooth comb, spreading the product throughout the hair. Dry the wires and, if necessary, perform a brush to facilitate the passage of the plate. Once again divide the hair and move the plate in medium fuses to close cuticles of the wires, giving the desired shape. No need to rinse the hair after application. 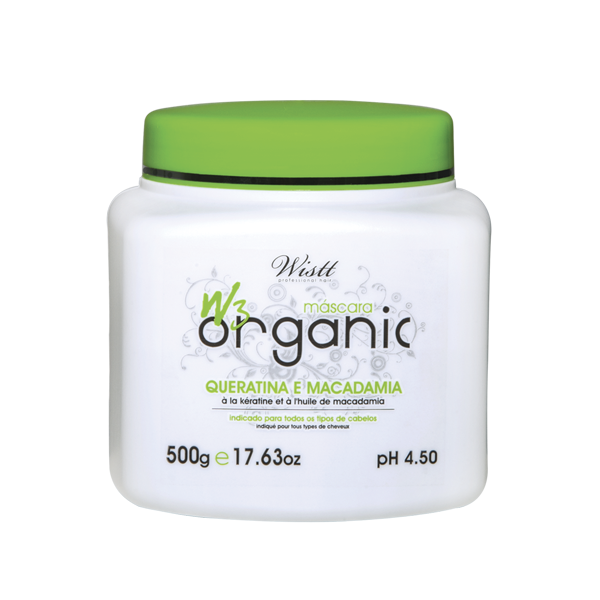 To keep the botox is necessary to use shampoo unsalted w3 organic. Treatment guard term w3 organic, without rinsing, reduces friction Phenomena during brush, protecting the hair fiber from the root to tip. The fluid is a brush facilitator due to its anti-frizz action, leaving the hair soft, bright and protected. The reconstructor w3 organic serum contains a unique formula, based on four types of silicone. He renews, moisturizes and nourishes the wires, heavily reducing frizz hair. And not be greasy it can be used daily in any type of hair, dry or wet. 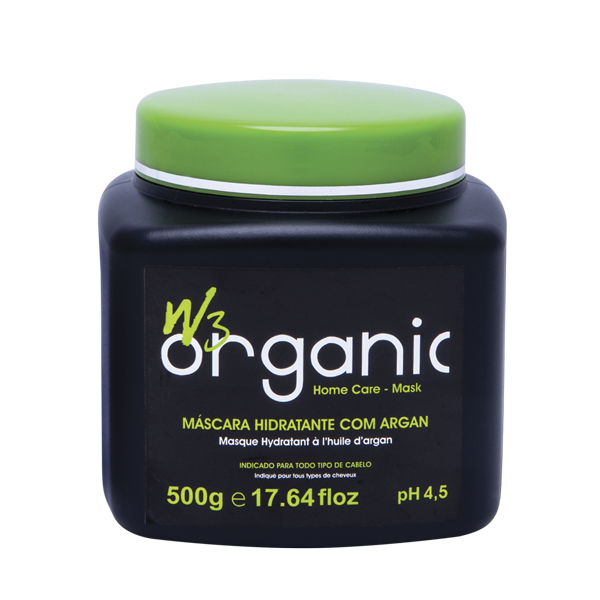 The mask w3 organic with argan oil keratin was developed with the purpose of rolonging the smoothing because in addition to hydration keeps the brightness, smoothness and elasticity of the yarn. It is suitable for any type of hair and can be used as a conditioner for a more intense hydration each wash. We may apply every 10 to 15 days, on the surface of the yarn, provided that care has to respect hair roots because the mask is more concentrated.